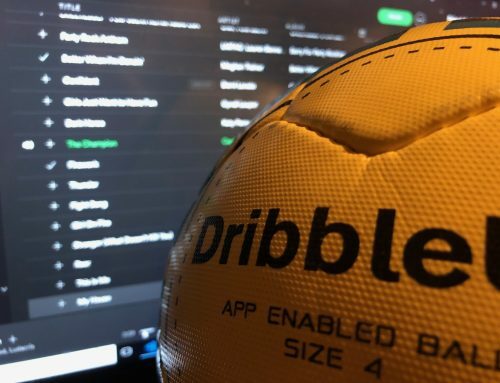 When we first bought the DribbleUp smart ball the team told us we didn’t need any instructions or a manual, installing and using the app was simple – but if we had questions to let them know. The DribbleUp app was simple to use and we started training with it the afternoon we opened the box. However, many of you who purchased a smart ball from our store have asked for installation and setup instructions so here is the DribbleUp users guide. If you don’t yet have a smart ball and would like to try one out we have both size 4 and size 5 that we can ship out right away, you can return it if the ball doesn’t meet your training needs – click here to Dribble Up. You can download the DribbleUp app on newer generations of an iPad or an iPhone. I tested it on my wife’s iPhone 5 and it ran great, anything older than that and you could start running into a laggy experience when doing the drills. It’s a sophisticated tracking application that requires a lot of processing and optical tracking so your experience won’t be as good on older phones. That goes for both iPhone and Android devices. Obviously the benefit of running the app on your iPad is that you have a bigger viewing area when you’re training but then it’s not quite as portable as your phone. Luckily you don’t have to choose, you can install the app on both your iPhone and your iPad and use it on the device that suits your situation. You’ll need an additional stand for a tablet that doesn’t come with the DribbleUp ball but you can find them on Amazon. When you first open the app you’ll be taken to a sign in screen that will have link to the Sign Up screen if you’re new user. They don’t require much information – just Username and Password. Name – Your Name isn’t shown in the app, I assume it’s used for customer service purposes or perhaps will show in later versions. Username – Your Username is what will display on the leaderboard so choose it carefully. If you’re signing up as part of a team your coach may have a certain format that they want you to use. It’s not possible right now but I can see in the future DribbleUp giving you the option to publish your profile online for other players or coaches to see. So imagine yourself someday sending a link to your DribbleUp profile to a college coach and what they might think of the username you chose. If you have multiple people using the DribbleUp ball you can create a different account with a different user name for each of them. We have a different account for each of our kids and once you setup the accounts you can switch between them in the app. Email – Your email isn’t used in the app, only if DribbleUp needs to contact you. Password – Once you create your password you probably won’t need it again for a while since the app remembers you. If you do forget it there’s a Forgot Password option. The phone stand ships as two pieces to avoid any damage en route. Assembling the stand is pretty simple, screw the bottom tripod into the top phone holder. The legs of the tripod telescope out to get your phone higher off the ground and to give it a better angle to track the ball from. If you need a tablet stand you can use the same base and simply order a top section that holds a tablet. Pull up on the top section of the phone holder, slip your phone into the holder, and let the top slide back down and hold your phone tight. Be sure to position your phone far enough to the right so that the stand doesn’t press on any of the buttons on the side of your phone. We’ve found it helps to angle the phone downwards a bit once it’s in, point it slightly towards the floor. Something else to be aware of is that a bright light in the background behind the ball can throw off it’s tracking. For example, if you’re inside and there’s a bright lamp behind you it can cause issues with the upcoming scan step. You’ll see something that looks like the picture below. To get started, tap the “Daily Workout” tile to see any homework assigned to you via our virtual skills team, by your coach, or through the Dribble Up daily skills. The default playlists from DU Everyday will have simple 2 minute playlists with 3 or 4 drills each. If you’re part of our virtual skills team there will be a variety of playlists. The playlists listed first will be the longest and most complex, the farther you go down the list the shorter and simpler they get. For instructions on how to access those playlists read about the Soccer Stripes Squad. Below the “Daily Workout” tile you’ll see a tile called “Ball Control”. Tapping on that tile will take you to the library of workouts that DribbleUp has built. The drills are organized in order of simplest to more complex labeled – Novice, Rising Star, Pro, First Team, Elite, MVP, World Class. The first time you open the app or click on a playlist you’ll probably see a dialog that says “Setup your first program”, go ahead and click the green “Setup” button. This will download some of the videos and playlists to your smart ball app so that you can use the app to work on the soccer drills even when you’re not on the network or on wi-fi. A good way to get started before jumping right into one of the workouts is to tap the “Ball Control” icon and choose one of the soccer drills from the library like Foundations or Sole Flicks. Once you tap on a drill it will show you a preview video of the drill. The app shows you the trainer doing the foot skill and then zooms in and shows you a slo-mo shot of the drill so you can see how it works. Once you’re familiar with the move you can tap the green “Start” button and it’ll ask you to scan the ball as we showed you above. This is a nice way to start because it’s only 1 drill and gets you used to the Dribble Up app and how it tracks the ball. There’s no time pressure of moving onto the next drill, you can keep playing with the same drill again until you’re comfortable with it and have the hang of how the smart ball app works. Here is an example of the trainer demonstrating one of the drills for you. Once you’re comfortable with the moves in the playlist you’re ready to press the Start button. Once you press the green Start button you’ll see this screen, asking you to scan the DribbleUp ball. Drop your ball on the floor and roll it with your foot so it shows up inside the circle on the screen and once the ball is scanned the playlist will begin. You’ll know right away if the scan didn’t work because the virtual cones that show on the screen will be red. Typically the virtual cones are green and only turn red if you go outside of them. If the cones are red immediately, tap the screen again and you’ll be given the option to either Quit or Resume. Choose the Quit option – then press the Start button and scan your ball again. If you’re consistently getting red cones make sure you don’t have a bright light source behind you that’s confusing the app. Each drill will show you a video demo and then give you a few seconds to get ready before it starts a timer. When the timer begins that means the app has started grading your skills. Pattern – Match the pattern of touches for the drill. You can tap the screen to read more about your score for each one of those areas. DribbleUp also has a Progress tile that shows a history of all the skills sessions you’ve gone through. This is a great measure of technical development because players can see their progress over time. Ideally they’ll see themselves getting higher scores if they consistently use the app to train those same playlists. At some point when they move up to the next level of difficulty it’s likely the scores will dip again as they work to master the additional attention to detail. One of the ways that Dribble Up motivates players to train harder is via the Rewards tile which unlocks different awards as you progress through your skills training. You reach different levels by earning points. It has multiple Levels such as “Rising Star”, “Going Pro”, “First Cut”, “MVP”, “Corner Kick”, “Gold Star”, “Pitch Legend”, etc. Some of the levels will turn the ball tracker a different color (purple, green, yellow, orange, red), which is a neat visual way to show progress. As you train more your ball tracker will change colors as you move up the Levels. Another common motivational tool that has proven successful in many sports is the Leaderboard. As you can see in this graphic you access it from the main screen by tapping the Leaderboards tile. This view compares you to other players using DribbleUp and has been particularly effective in getting my kids to consistently train with the app. There’s something about a player list and where you rank that keeps you coming back into the app and wanting to move up higher relative to the other players. Of course the only way you can do that is to train more! 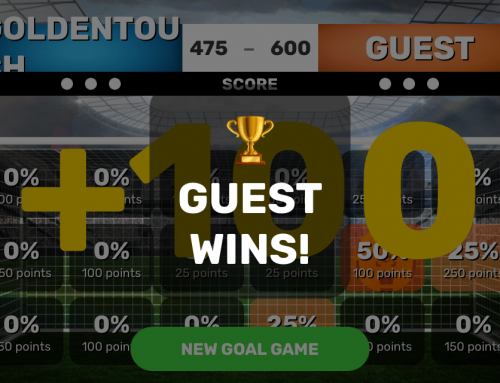 Everyone sees the Global leaderboard but if you’re a part of one or more virtual teams, like our Soccer Stripes Squad, you’ll see multiple leaderboards and your rank on each one. The leaderboard has two different views, you can see where you stand for the current week and also “All-Time”. 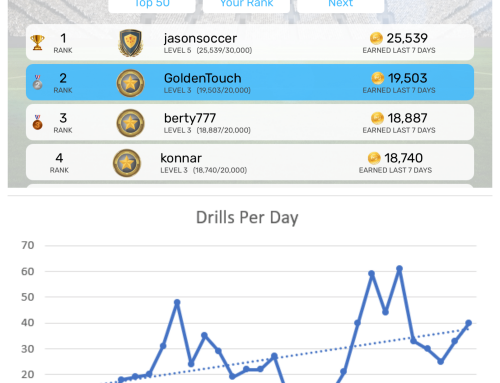 So if you’ve logged hundreds of hours with Dribble Up since you downloaded the smart ball app you might rank pretty high on the “All-Time” leaderboard but if you’ve had a busy week and haven’t done much training you could be towards the bottom of the weekly leaderboard. The Ball Control feature is probably the most used feature of the smart ball app. The library of drills is pretty big and the combination of playlists of drills can keep players improving for a long time on their footwork with a variety of different drills each day or week. However, many users waited eagerly for the Shooting and Juggling features when the app first came out and we’re happy to say now that they’re both available. As you can see here you can access both Shooting and Juggling from the main screen by tapping on their respective tiles. The Juggling tile tracks how many consecutive juggles you’re able to successfully string together. The juggle counter only counts touches that are below the knees so this method requires more control. 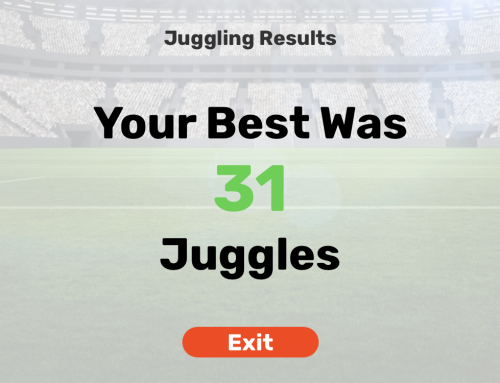 We did a juggling app review and also offer some tips on how you can start off simply and get better at juggling over time. The Dribble Up shooting app feature requires more setup and on that page we go into detail on how to set up and use the shooting functionality. It’s a fun way to compete against your family or teammates and also a good way to get more consistent about the placement of the ball when you shoot. If you have issues with a ball itself let us know and we’ll get you a replacement. If you have a problem using the ball email us and we’ll help you work through it. If you have a problem with the app report it to the DribbleUp team. We had a strange bug in beta mode where the Slap Cut Squirt drill set our kids points back to zero. Needless to say they weren’t very pleased but the Dribble Up team got the bug fixed right away and corrected the whole issue quickly. So if you find a bug in the app the team will fix it right away. If you have feature requests can also submit those to the DribbleUp team but those aren’t guaranteed to be made. The developers of the app are eager to improve the experience but I had a few suggestions that weren’t implemented because they solved the problem we were encountering in a different way than suggested. So if you have recommendations or enhancement requests please pass them to the DribbleUp team for consideration.